Rainfall is rare. Scorching heat regularly reaches 50 degrees celsius, even during the coolest part of the year. Land to graze the animals grows scarcer every year as the borders of the desert expand, pushing populations further south. 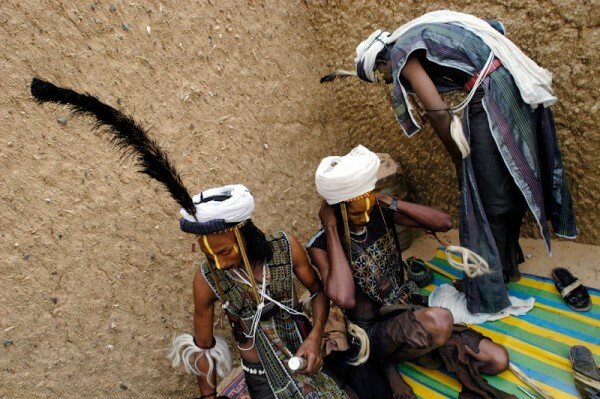 The nomads of Niger live on bare necessities, no room for excess in lifestyle. Taking no more than they need from the land, they depend on its fruits for survival. 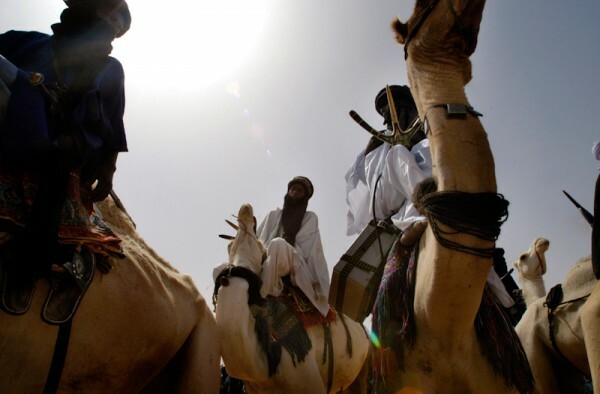 In search of the salt cure, Niger’s nomads herd their livestock to an area near InGall, in the region of Agadez in Niger. Here, at the end of the rainy season, naturally occurring mineral salts are found in ground deposits, water or grasses and plants. Feeding on the salty food, cleanses the livestock’s digestive systems of parasites, correcting their mineral deficiencies. 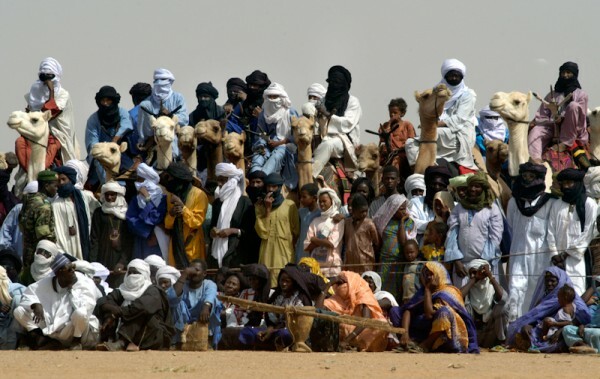 Held annually on the fringes of the Sahara, the vibrant ‘Gerewol’ or ‘Cure Salé’ festival celebrates local nomadic tradition. 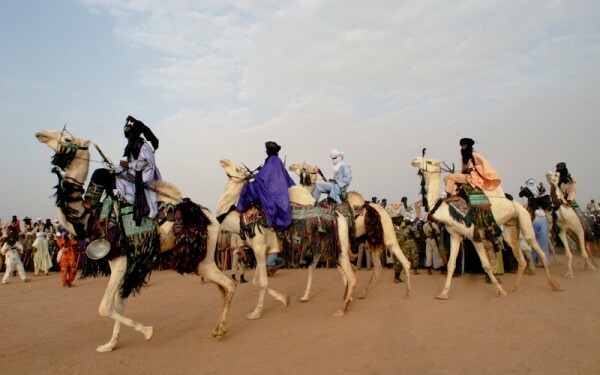 The festival, literally meaning ‘Salt Cure’, brings together Niger’s nomadic groups – Tuaregs, Fulani and Arabs. Friends and family members catch up on the news of the past year. Conducting business and barter before they continue their journey back to more fertile regions. The festival is a time to arrange weddings, to strengthen social bonds and to celebrate. InGall is the site selected for the official festival of nomadic culture that attracts dignitaries and tourists from around the world. Smaller versions of these traditional gatherings occur throughout the northern region at the end of the rainy season. Thousands of people come together for this colourful event of ethnic dancing and music, camel racing and exotic beauty contests for men. 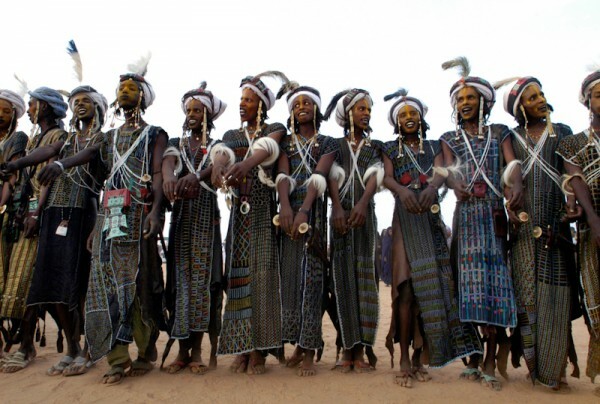 The Wodaabe, also known as Bororo, are a small minority belonging to the wider group of the Fulani. 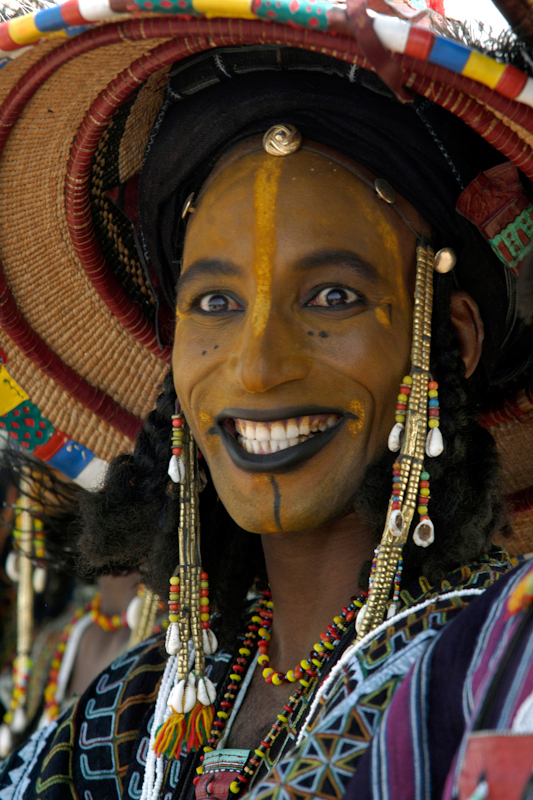 The Wodaabe are virtually the only group that have preserved their ancient nomadic tradition. 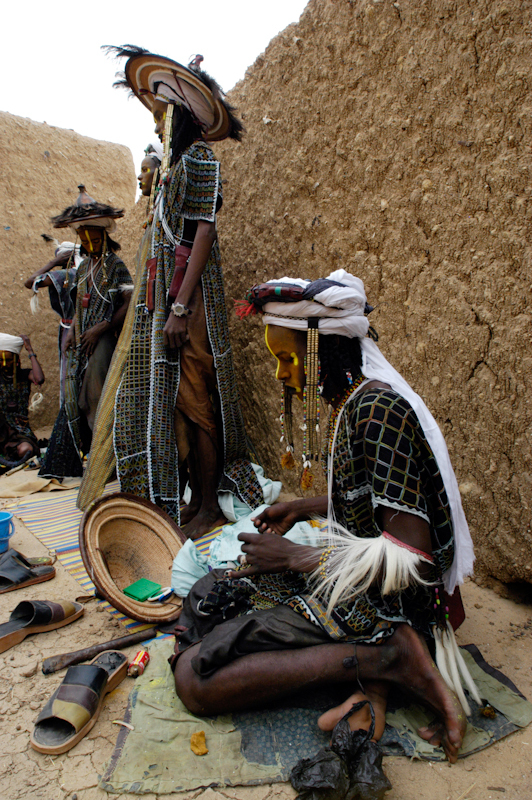 Choosing to live as nomads, the Wodaabe have rejected all efforts to change their way of life. 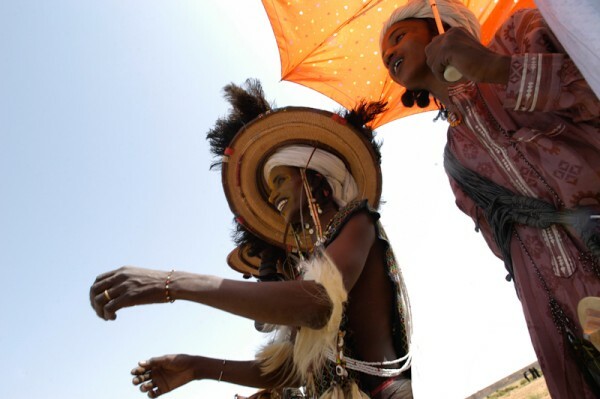 The Wodaabe say that life is made up of suffering and joy — the hardship of the dry season alternates with the happiness of the rainy season. 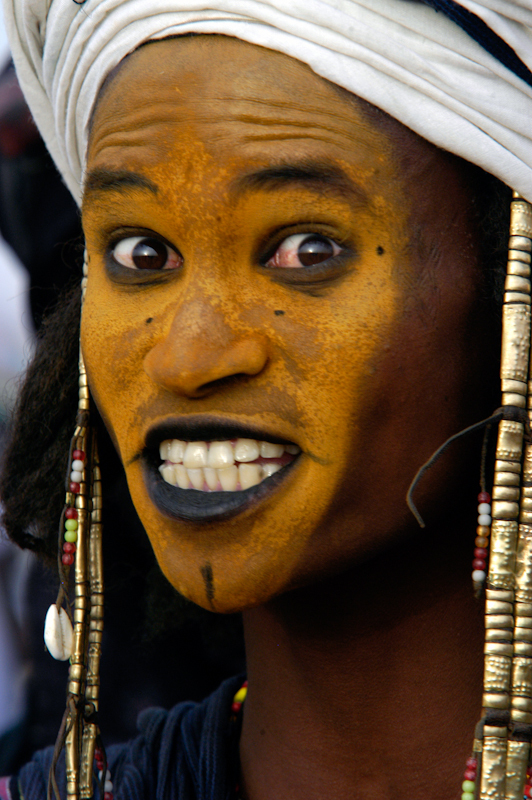 A Wodaabe proverb says “Who cannot bear the smoke will never get to the fire”. 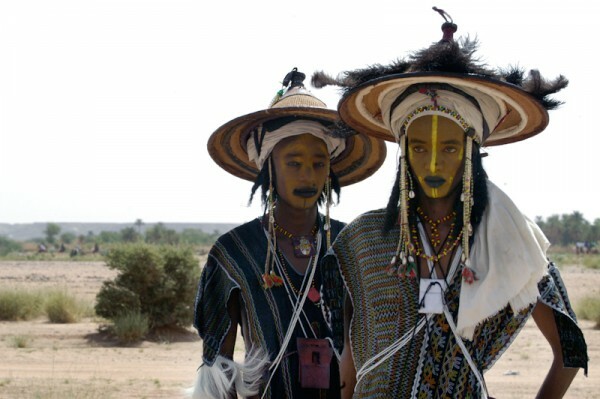 Within the Wodaabe’s polygamous society, the primary union is an arranged marriage within a single lineage, preferably between the children of cousins or brothers. The couple are betrothed early with the marriage rituals that follow stretching out over years. 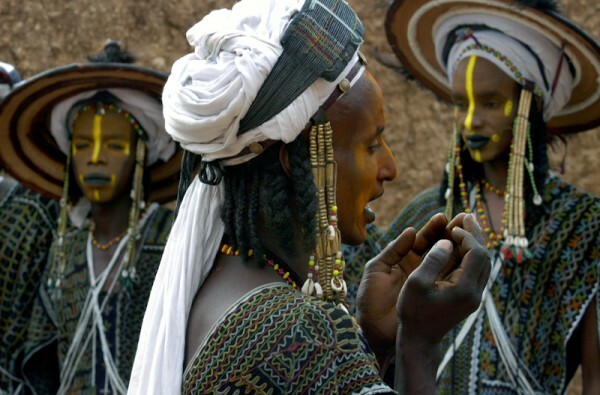 However, Wodaabe also have the right to a ‘love marriage’ leading to more marriages of choice. 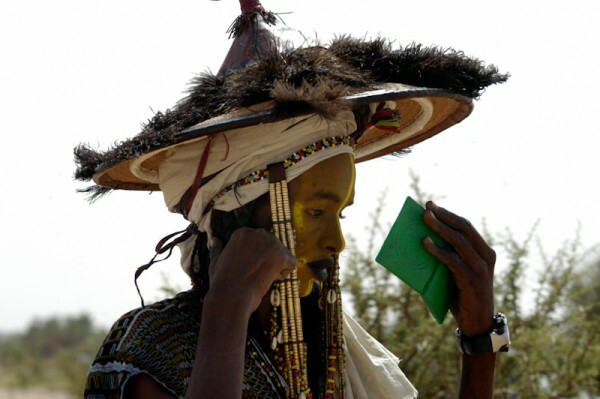 A young man, on the lookout for a love marriage, must impress a young girl following the rules of Wodaabe society. He must use refined language, engaging in the act of polite conversation before entering into a relationship. If a young man is too forward or suggestive, the girl may go away and listen to a more polite young man instead! 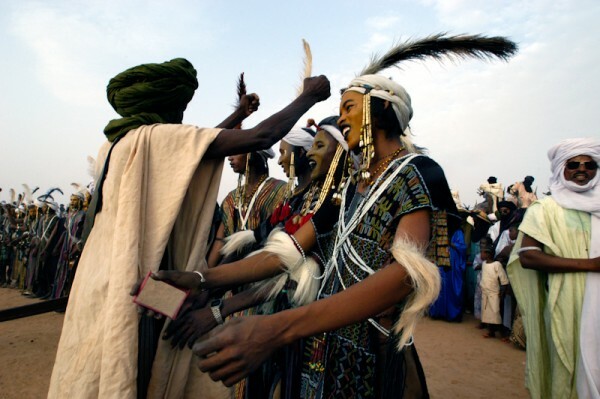 During the collective Wodaabe gatherings, the Ruume, Borno, Yaake, Moosi, and Jeerewol are danced. The dances are unique – each dance is based in a world of male beauty. 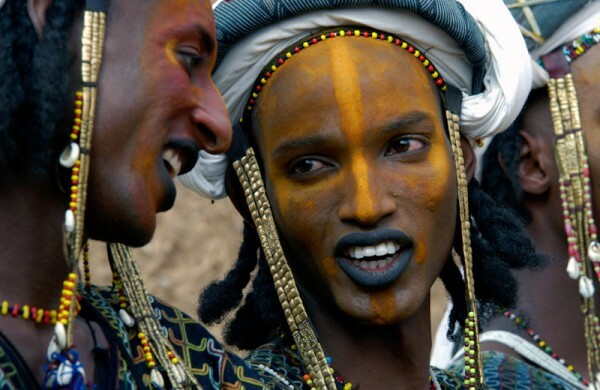 It is the men who show off among the Wodaabe. The Yaake dance is a magical beauty contest exhibiting male beauty, attractiveness and love. The Yaake resembles a long parade of men wearing make-up, standing side-by-side. 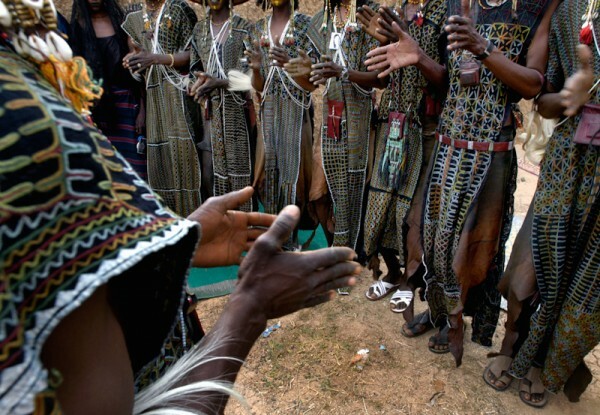 Flashing the whiteness of their eyes and teeth, the men dance like reeds swaying in the wind. The dancers stretch up into the air, yearning to fly like a bird. The air is softly filled with their strange throat vibrations. Saffron-coloured masks, worn by the dancers, are said to ‘change the person’. Yellow is the colour of magic and transformation. The men’s lipstick is pitch black. Ideally it should come from a special bird found in the bush. This bird gives the young man his ability to vibrate his throat in the proper manner. A phallic symbol, a white ostrich feather, is secured to the turban on the forehead. Only beautiful men dare exhibit themselves. 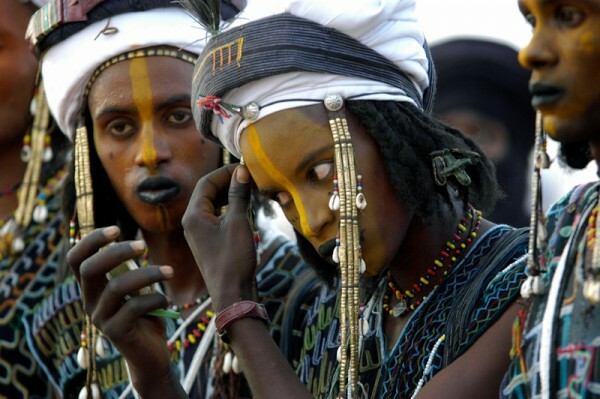 To be beautiful and to make yourself beautiful are virtues in Wodaabe society. Yaake dancers all try to impress young women. Women stand shyly in a crowd at a distance. They are important participants – the most beautiful man will be decided by a jury of women. The contest values? Elegance, grace and beauty. 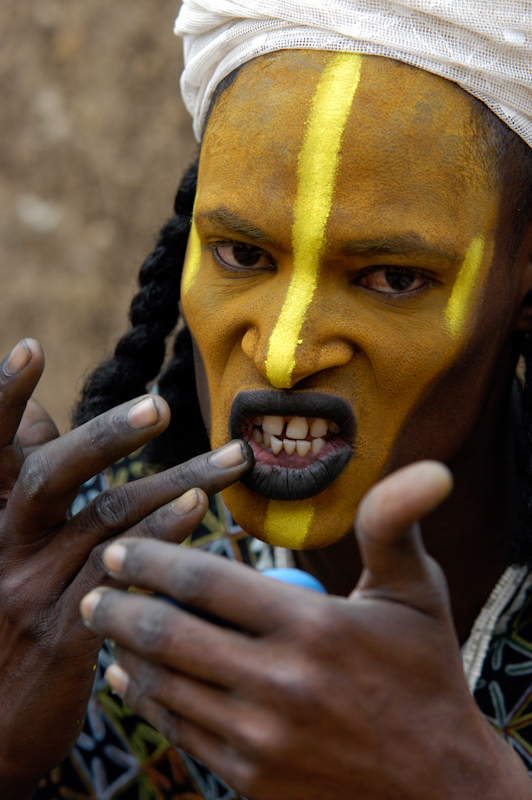 A Wodaabe proverb says that dance is like war. Dances are like tournaments, ritual battles where ‘warriors’ may die on the battlefield. Dancers nudge their opponents so that they can be better seen by the spectators. News of the magical powers of a certain dancer may spread wide and far. A ‘love marriage’ may sometimes develop from the dances. Polygamy is acceptable for both men and women. A ‘wife stealing’ may last for a night, few months or a lifetime. If the bond lasts some time, the couple will undergo marriage rituals. The man will be a hero in his own family and clan while his bride’s clan will despise him for their loss of a valuable and pretty young woman. 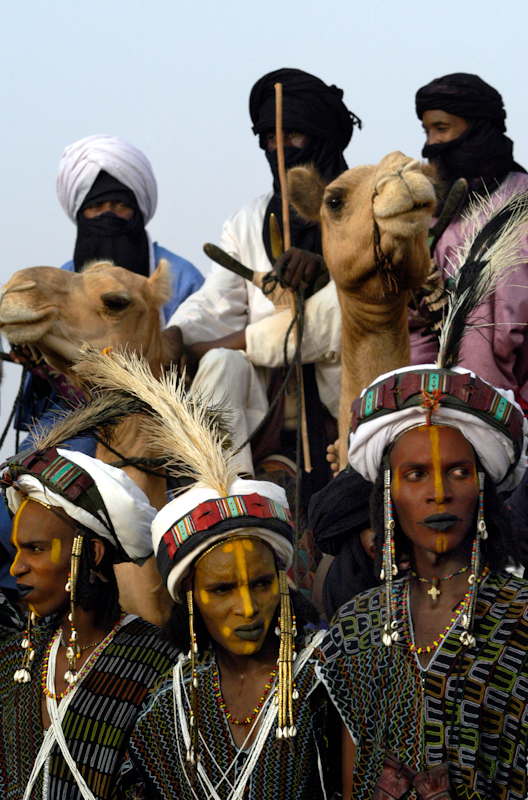 Danish anthropologist Mette Bovin believes that the Wodaabe are deliberately showing their exoticism with these dances. 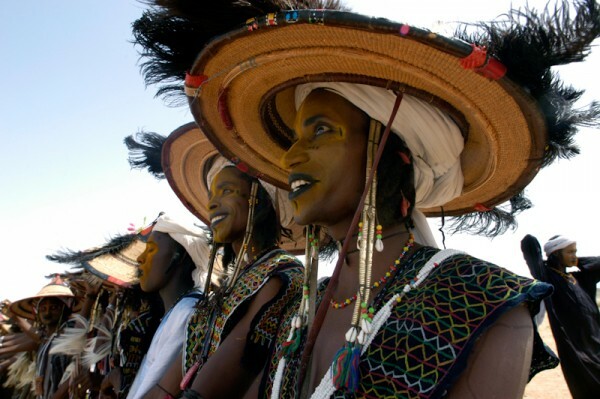 Bovin, who lived amongst the Wodaabe for several years, believes that in order to remain nomadic pastoralists, the Wodaabe need to constantly fight against pressure to lead a sedentary life in villages or towns. 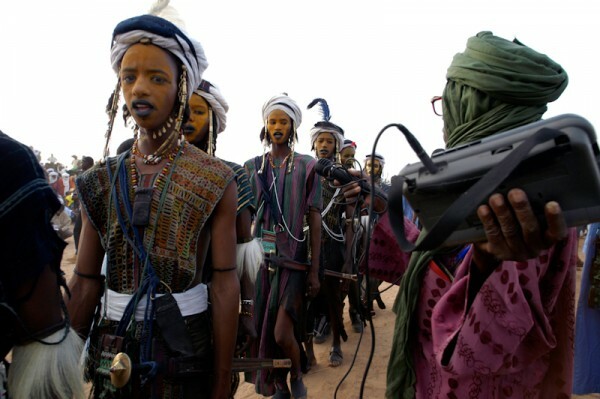 The Wodaabe – through their culture rich dances – are fighting for their nomadic lifestyle not only in Niger but also in neighbouring countries.